PFLAG Santa Cruz County is proud to announce their first speaker of 2012! Please join families from around Santa Cruz County as they come together for the first PFLAG (Parents, Families and Friends of Lesbians & Gays) meeting to be held in the area in several years. The first hour is dedicated to discussion groups followed by a brief break. The second hour will be dedicated to our January keynote speaker, Rev. 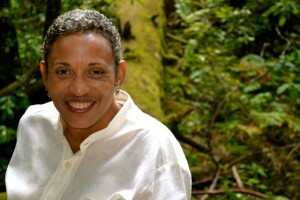 Deborah L. Johnson. Rev. Deborah L. Johnson is the founding minister and president of Inner Light Ministries, an Omnifaith outreach ministry dedicated to teaching the practical application of Universal Spiritual Principles to all of life’s circumstances. She is also the founder and president of The Motivational Institute, an organizational development consulting firm specializing in cultural diversity serving the public, private, and non-profit sectors. Her clients range from Fortune 500 companies to community based organizations. She is a dynamic public speaker, known for her ability to bring clarity to complex and emotionally charged issues.